O não muito bem recebido Sniper: Ghost Warrior dos estúdios City Interactive, irá ter direito a uma sequela. A confirmação foi feita pelo produtor do jogo, Michal Sroczynski, em entrevista aos nossos colegas da Eurogamer Sueca(Obrigado Toby Lee). O Sniper: Ghost Warrior 2 terá como motor de jogo o novo CryEngine 3 da Crytek, e será lançado para a Xbox 360, PS3 e PC. Sniper: Ghost Warrior 2 has a new video available after the break titled “Brutal War Crimes Bosnia”. Go watch it. 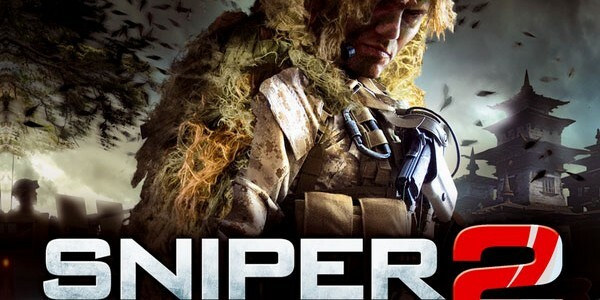 Sniper: Ghost Warrior 2 will be available for PC, PS3, and Xbox 360 during Q1 2013. Sniper Ghost Warrior 2 launches on 12th March 2013, developer City Interactive has announced. Our cousins at Eurogamer Poland pointed us towards a statement from City Interactive confirming the new date. The news comes following a number of delays to the PC, PlayStation 3 and Xbox 360 shooter, distributed on these shores by Namco Bandai. Fingers crossed it makes this one. CI Games, a fast-growing international publisher and developer of interactive entertainment, today announced that its upcoming game, Sniper: Ghost Warrior 2, has completed development and has officially gone “gold.” Sniper: Ghost Warrior 2 will be available for the Xbox 360® video game and entertainment system from Microsoft, PlayStation®3 system and Windows PC in North America, Europe, Australia, Africa and part of Asia, starting March 12 in USA and in Europe beginning March 15. Sniper: Ghost Warrior 2 is the only multi-platform first person shooter exclusively designed around the modern military sniper experience. Using the advanced capabilities of CryENGINE3, the game delivers graphically stunning environments, more diverse challenges, a rebuilt AI system and the exacting precision and accuracy that made the original a worldwide hit. With unprecedented levels of realism in weaponry, ballistics and environmental factors, Sniper: Ghost Warrior 2 offers the ultimate balance of skill, tension and action.